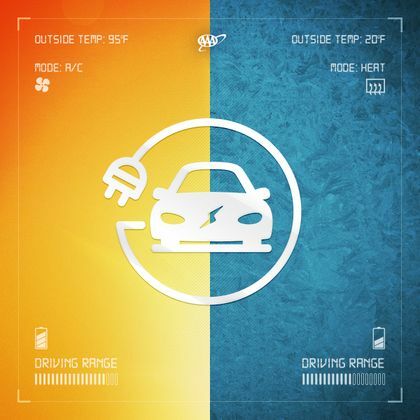 As freezing temperatures plague much of the country, electric vehicle owners may experience a decrease in driving range, compounded by the use of the vehicle’s interior climate control. New research from AAA reveals that when the mercury dips to 20°F and the HVAC system is used to heat the inside of the vehicle, the average driving range is decreased by 41 percent. This means for every 100 miles of combined urban/highway driving, the range at 20°F would be reduced to 59 miles. When colder temperatures hit, AAA urges electric vehicle owners to be aware of a reduction in range and the need to charge more often to minimize the chance of being stranded by a dead battery. AAA provides more than 59 million members with automotive, travel, insurance and financial services through its federation of 34 motor clubs and nearly 1,100 branch offices across North America. Since 1902, the not-for-profit, fully tax-paying AAA has been a leader and advocate for safe mobility. Drivers can request roadside assistance, identify nearby gas prices, locate discounts, book a hotel or map a route via the AAA Mobile app. AAA Texas branch offices throughout the state can be found by visiting www.AAA.com. Follow AAA Texas on Twitter: @AAATexas and Facebook: www.facebook.com/AAATexas. Find additional news from AAA Texas in our online newsroom at http://tx-aaa.iprsoftware.com/.